There came a time when the doomsayers were proven right. 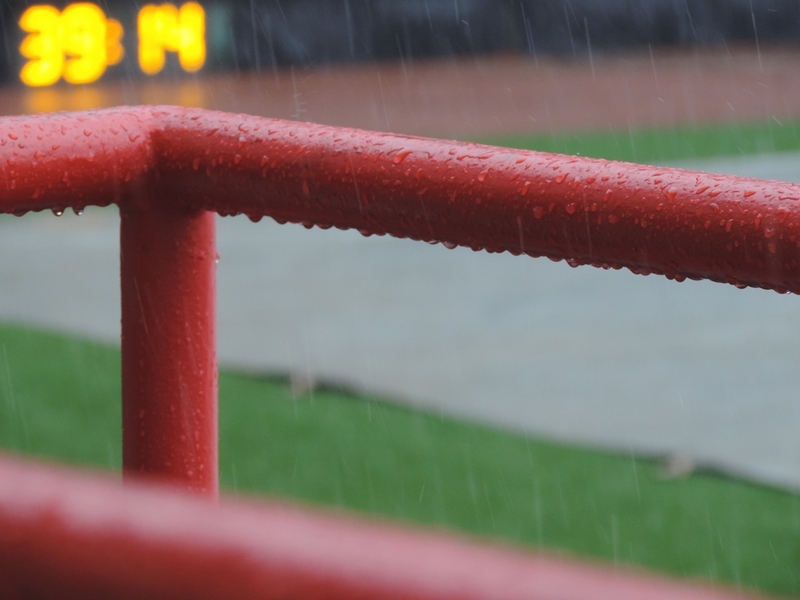 On Friday, I wrote about rain delays and rain outs. Two days later, what are the chances? … Because it was pouring rain by the time we got to Richmond. Superstitions and jinxes like this run deep in baseball. In the early years of baseball, players would bury all sorts of lucky charms – especially rabbits’ feet – under home plate and all over the outfield. 3. I don’t know when your game’s rain delay is going to end. 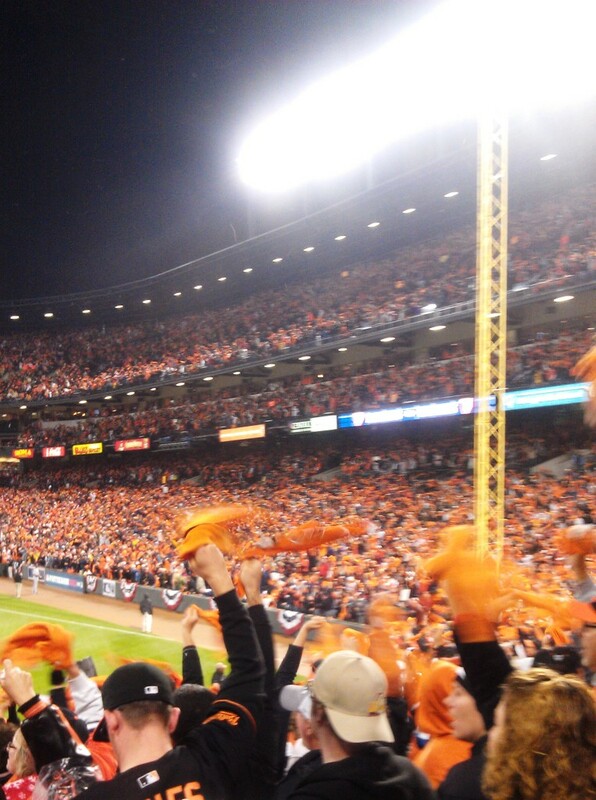 In October 2012, I sat through a cold, 2-hour-41-minute rain delay in Baltimore. The Orioles were playing the Yankees in the playoffs – it marked the O’s first post-season appearance in 15 years. After all the rain delaying, it was nearly midnight when the two teams, knotted at 2, entered the 9th. And then, Orioles closer Jim Johnson gave up five runs. Five. The Orioles lose 7-2 and go on to lose the division series. It still hurts. 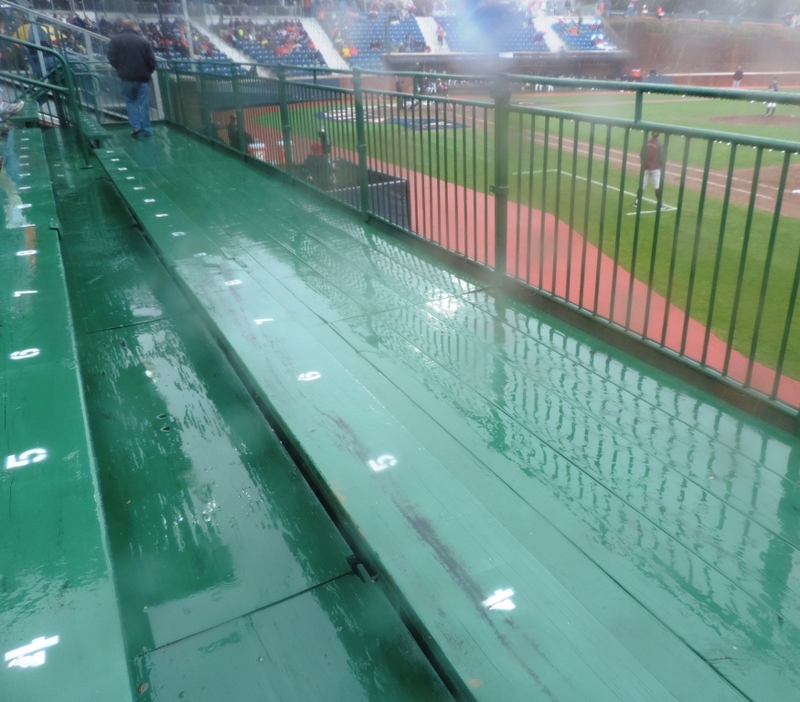 I wrote about that night here: How To Enjoy Your Next Rain Delay. Ever since, this blog gets a spike in visitors whenever rain stops a big game. Earlier this month, the Orioles’ three-hour double-delay during their home opener on April 4, and the Washington Nationals’ 85-minute delay during their home opener on April 7, led to a downpour of impatient wet fans turning to the googler to tell them when the stoppages would finally stop. Over the past few years, all kinds of questions and queries have led people to my rain delay post. I’m going to go ahead and clear those questions up now. 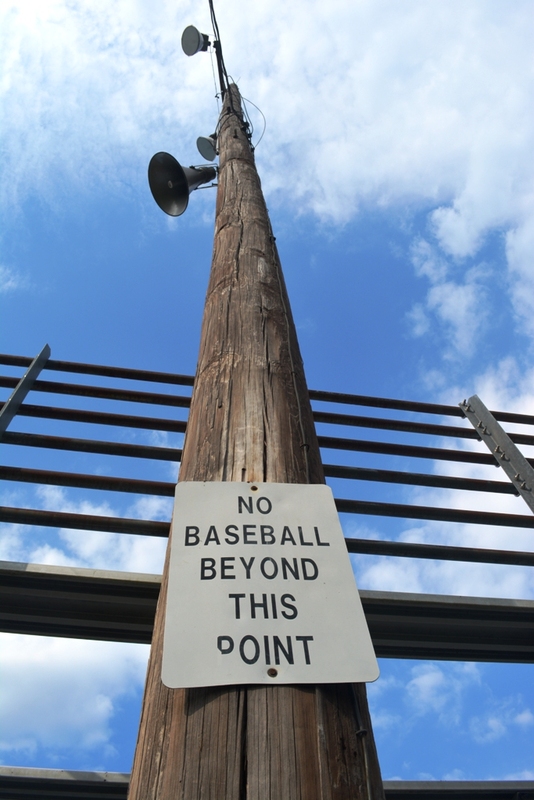 College baseball fans know the deal. 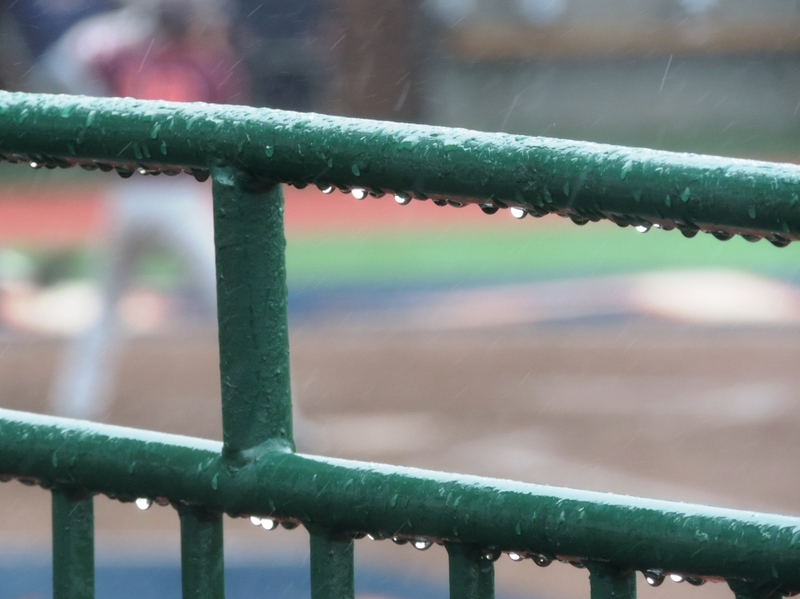 There is little room in a tight collegiate season for rain delays. And, there is no room at all for cancelled games. 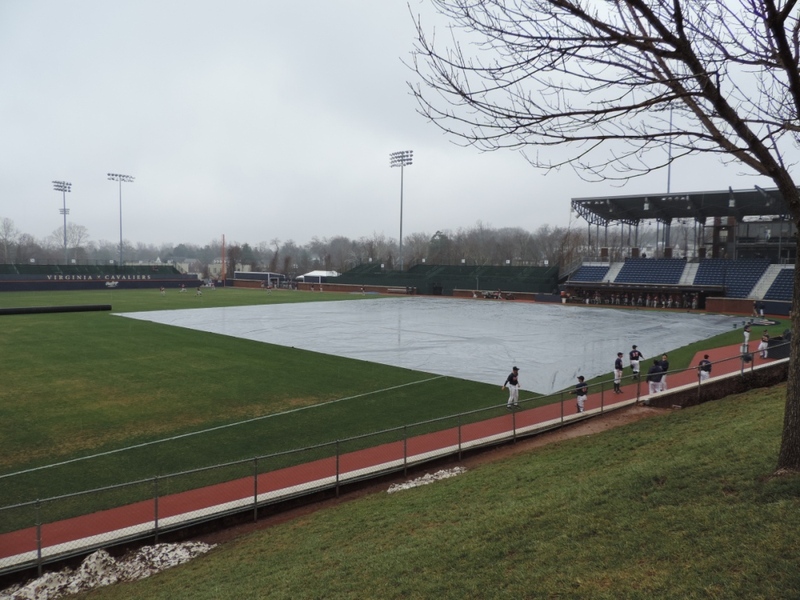 While big leaguers unroll the tarps at the first rain shower, college players soldier on. 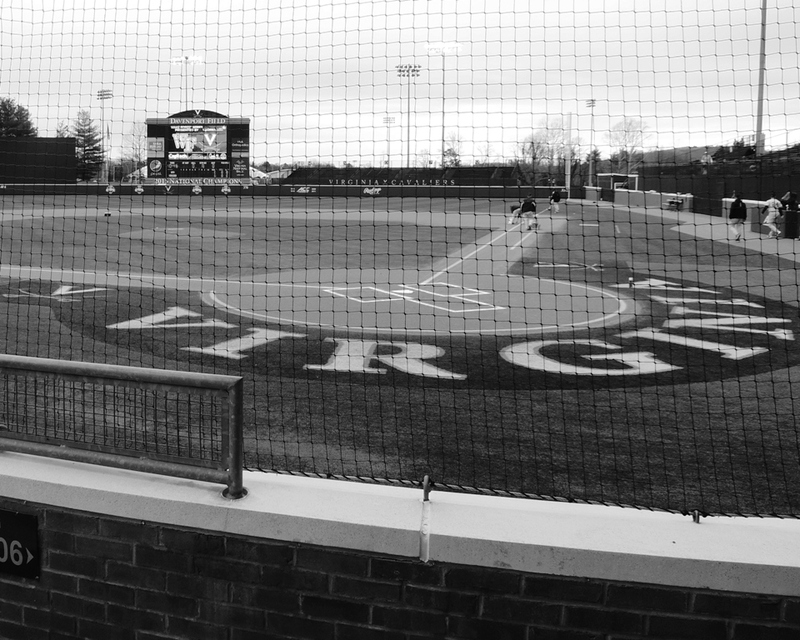 The Wake Forest Demon Deacons came to Charlottesville this weekend to play a Friday/Saturday/Sunday series against the University of Virginia Cavaliers. But, with the promise of rain and snow and wind and cold, things required a bit of shuffling. Keep up with me here. Friday evenings’s game was moved to Friday afternoon. Sunday’s game was moved to Friday night. 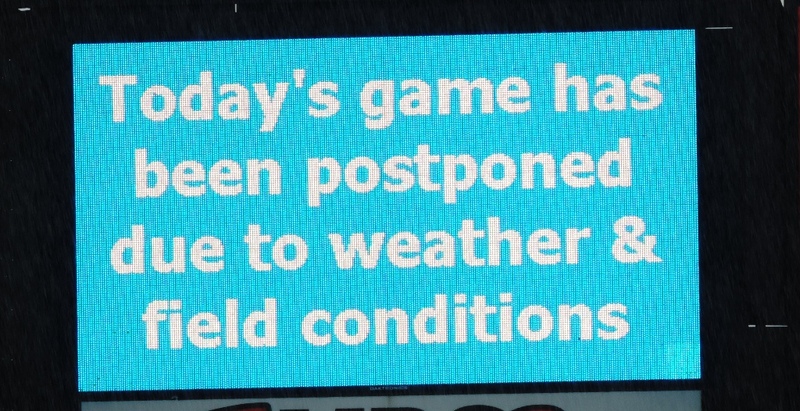 Saturday afternoon’s game was moved to Saturday morning. I think it rained everywhere. Except where it snowed. 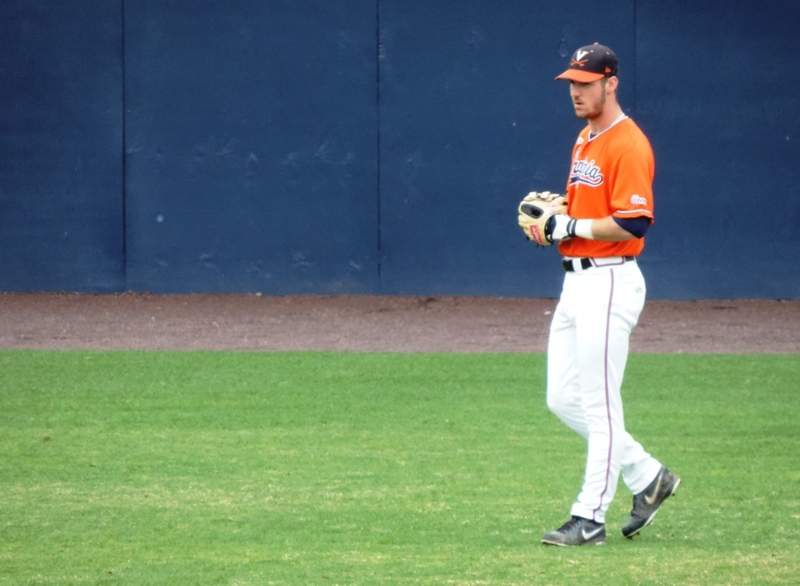 For those of you just tuning in, we had tickets to today’s Baltimore Orioles vs AAA Norfolk Tides game in Norfolk. 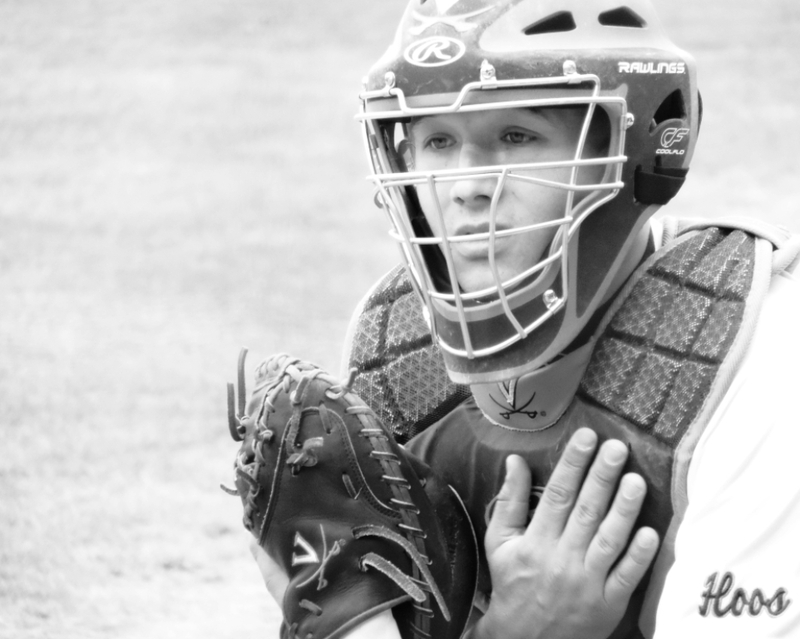 The last game of spring training – the irregular season. It’s a three-hour drive to Norfolk, but we have heated seats, Sirius radio, and cup holders in our car, so, really, no big thing. But, it was raining. And, raining. 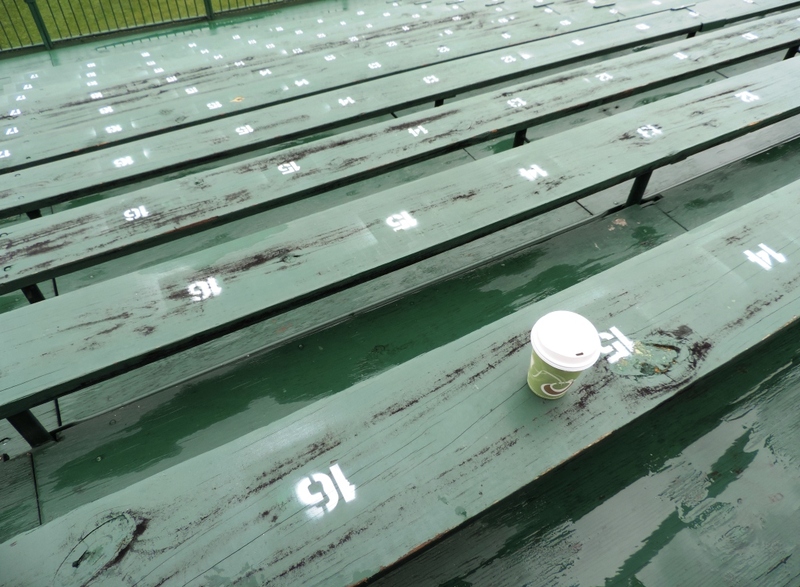 And, the heated seats would not be able to warm my waterlogged heart if I got to the game and it wasn’t there. Luckily, there was a game scheduled at the University of Virginia, too. 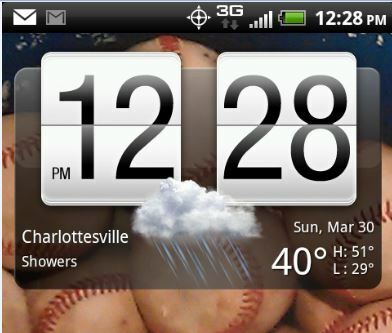 It was also raining in Charlottesville. But, that rain was two-and-a-half hours closer than Norfolk’s rain. Yes, that’s snow in the corner. 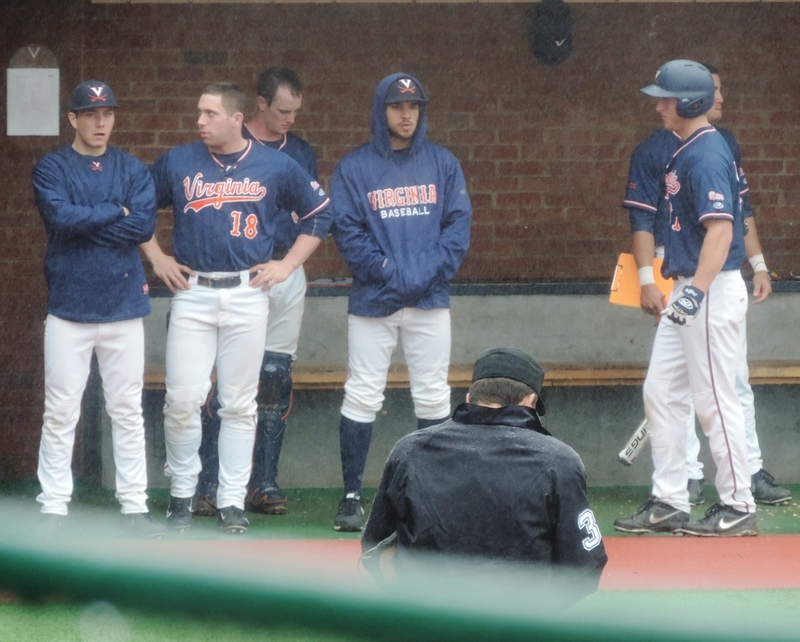 UVa decided to start the game a half-hour early in order to the beat the rain that was already here. This is sort of the Bizzaro World version of a rain delay. 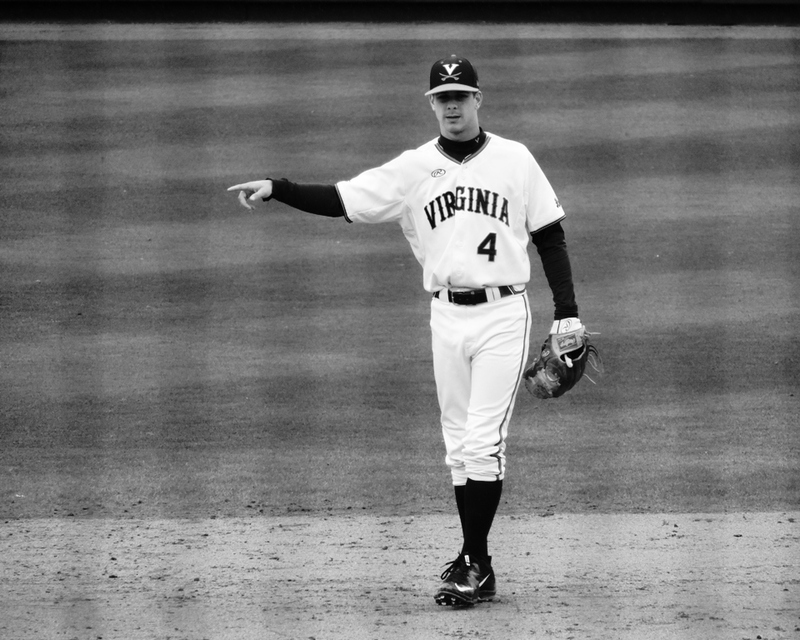 Today, UVa defeated Virginia Tech 9-2 in one of those wonderful state-school grudge match things. They played through the rain. Nine innings. 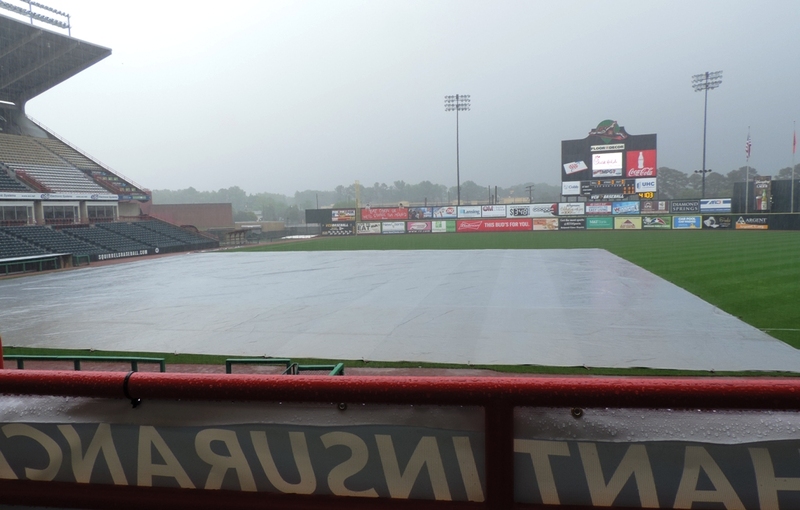 Meanwhile, back in Norfolk, they played a few rainy innings (including half-innings that were only two outs long … and one half-inning where no outs were recorded at all). 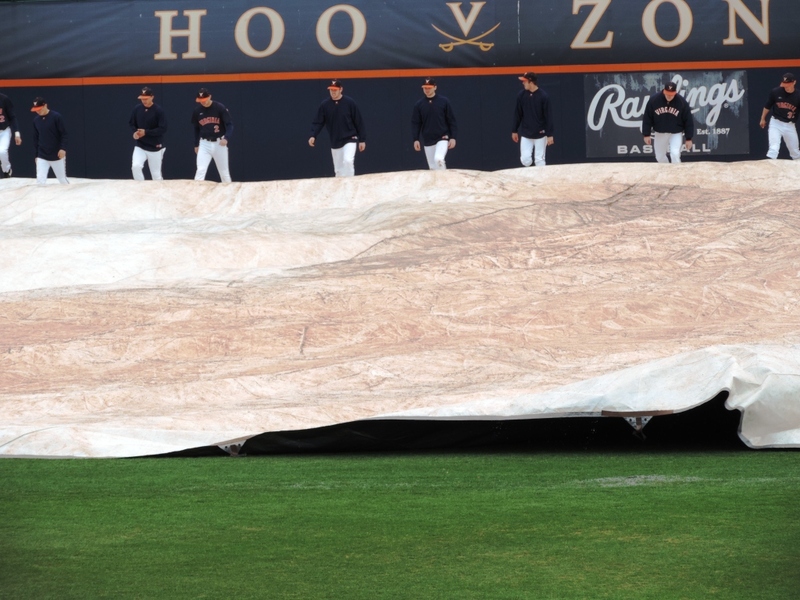 They finally unrolled the tarp and called it a day for their “pretend” game and the Orioles flew off to Baltimore. And, a quick West Coast Update – Last year, I urged the Oakland A’s to deal with their coliseum’s sewage problem. Raw sewage had been coming up through the drains in the dugout and the clubhouse. Orioles’ closer Jim Johnson had just been traded to Oakland, and, I thought it would be nice if they cleaned up the place a bit for him. Clearly, as in many things, no one listened to me. Here’s more on the ewwwww. The Oakland A’s vs San Francisco Giants game was cancelled due to rain. Opening Day … Just one more day. Rain delays, I’ve discovered, are even more like Yoga than an actual baseball game. You have to create your own focus. You have to slow yourself down. Way down. You have to be in the moment and you have to be patient. The Sunday night Orioles-Yankees game came with a bonus 2-1/2-hour rain delay. That’s a lot of just standing around. Did I mention it was barely 50 degrees out? Fun Fact: Rain Delays don’t last forever. Fun Fact #2: Rally Towels are very absorbent. The dynamics of some 48,000 people hunkered under the concourses, killing time, would be a great sociological experiment. For the record, 48,000 people in one place is about 5x the population of the county I live in. * You can drink. I wouldn’t advise it, but you can do it. You can drink a lot in 2-1/2 hours. You will be incredibly entertaining and funny for the first hour. After that, you’ll be shunned, even by the people you came with. * You can do a scientific jersey count poll. In this practice, you count the players represented on jerseys as they pass by. For the person wearing the Adam Jones jersey who walked back and forth several times – nice try, buddy, we only counted you once. We decided that pitchers are underrepresented on jerseys. We also discovered that a player can be long gone, long-ago traded to another team, or just faded into the annals of “wait, who? Doesn’t he work at the car shop downtown?”, but if you spent $100 on a replica jersey 10 years ago, you’ll wear it anyway.